A second idea is to use and promote the talents of translators. The events held in Edinburgh were, as I’ve heard from many sources, extremely successful, and with many Australian translators working both here and overseas (e.g. David Colmer, Alison Entrekin, Meredith McKinney, Brian Nelson, Chris Andrews), there would be no shortage of people who could appear in a session. Ideas include the translation ‘slams’, where two translators work on a text in front of a live audience; sessions where writer and translator discuss their shared work, giving insights into both the genesis of the work and its journey into English; and talks with the translator as the star of the show. Translators are clever, interesting people – and they’re writers. In my opinion, they’re worthy of being showcased in their own right. Finally, and perhaps most importantly, I’d love to see a big-name international writer each year to drive this part of the festival. If the festival’s keynote address had been given by a mid-list, fairly unknown writer, people would have been extremely disappointed, so why should those of us who read books that weren’t originally published in English feel any differently about our main attraction? 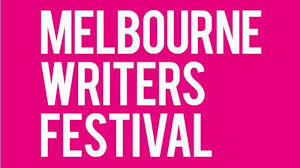 In 2012, there was Sjón, in 2013, Andrés Neuman – those are the kinds of writers who need to be brought to Melbourne. Here’s hoping that next year’s drawcard (or drawcards) will be just as exciting.